I have removed the Stobart Tandem as I simply do not have time to keep updated with Flemming V’s updates/tweaks etc. 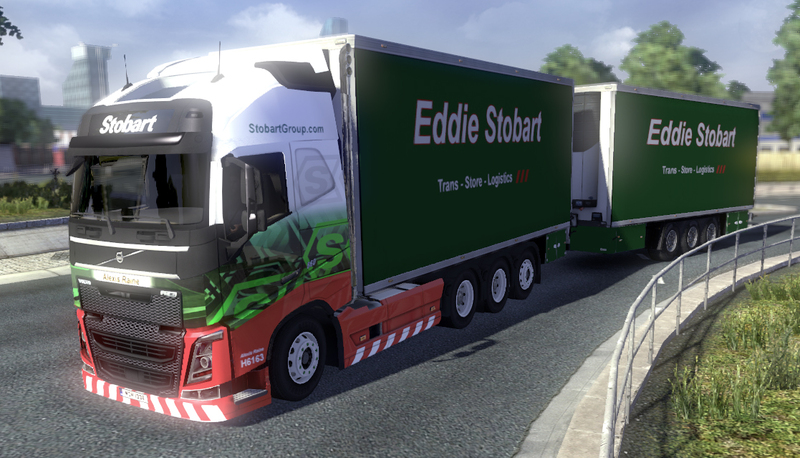 For those of you who want the cab skin it can be found on the truck skin pages with the rest of the Stobart trucks. You will need to replace all the devil.dds files in Flemming’s mod for this to show correctly. To replace the files use the guide in Flemming’s main post on the SCS forums. Post can be found here. His Q&A thread can be found here.